To keep our harsh taskmaster Logan Persons appeased, I’m throwing up a quick post to ensure we meet our daily post total for the week. In the spirit of our old Daily’s, I submit to you some free gaming goodness for the weekend. We talked a little bit about this on the podcast, but if D&D is your cup of tea and you’re looking for a free to play MMO, you could do a lot worse! Head on over to DDO’s official page to get your game on. The biggest news of the day just makes me want to scratch my head in wonder. Yesterday, Logan posted toward the end of the Daily that the PS2 was rumored to be getting a price drop down to $99 US American dollars. This is no longer a rumor. While a price drop on this timeless and fantastic system is welcome, you kind of have to wonder why it didn’t come just a little bit sooner, just take a look at these numbers over at MTV Multiplayer here. 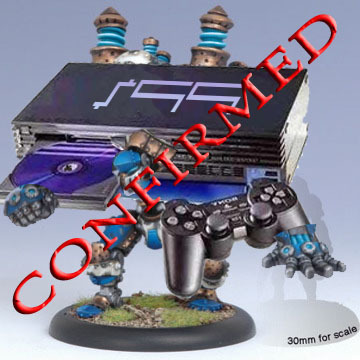 So now that it’s happened, does it make you want to run out and get another PS2 again? Jim Bradford may help push you over that cliff later tonight by posting a list of games you might have missed when you got rid of your last gen system. We shall all follow him like obediant little lemmings. Good news for those of you that were inconvenienced by recent Dungeons & Dragons Online and Asheron’s Call server downtime. You’ll find a list of goodies you’ll receive over here at Massively in addition to your recouped lost time. It’s nice to see a developer of older MMO’s going the extra mile to keep their player base. If you’ve been playing games or are planning on playing games over at Days of Wonder online, you’ll want to check out this news post by them. It appears that you no longer get time credit for buying one of their board games to play the games they have available online. It’s being replaced by a model where you purchase the game you would like to play online and that will give you access till robots enslave mankind. In addition to this different payment model, they’re upgrading certain online games and adding community content. This seems like a baller model that other board game companies might want to pay attention to. If I have the choice of buying a grid version of a game I might play once or twice a year due to lack of players or a digital version that I could play pretty much anytime I want, my option is very clear. We didn’t want to risk talking about StarDock’s newly announced DRM, GOO, until there was a little bit more information available on it. Giant Bomb has an article up here that goes into a good amount of detail and links to where you can get more information. It seems that if PC games start using this kind of DRM Dave might get his wish, the ability to “trade in” digitally downloaded PC games. Finally, that poor newly released Fallout 3 content for Xbox 360 just can’t seem to catch a break. Check out the scoop here at 1up. It’s apparently causing the game to freeze when you try to access the new content. Get better little guy, we hope you get over that cold soon.